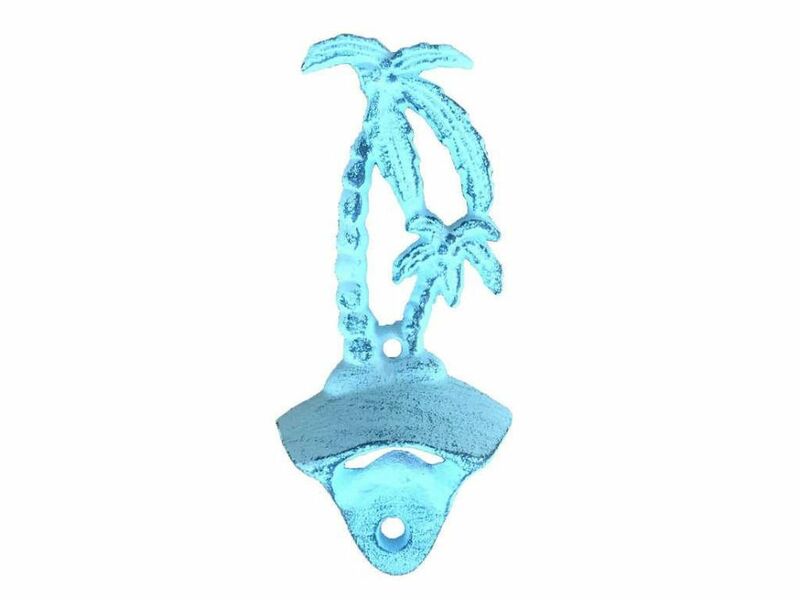 Rustic Dark Blue Whitewashed Cast Iron Wall Mounted Palmtree Bottle Opener 6"
This Rustic Dark Blue Whitewashed Cast Iron Wall Mounted Palmtree Bottle Opener 6" is the perfect addition to any nautical themed kitchen. Both decorative and reliable, this rustic bottle opener will open even the most difficult of bottles with ease. This fully functional bottle opener also allows for easy decorative mounting and can be a great gift for the true nautical enthusiast in your life. This cast iron bottle opener is perfect for all settings- in a beach house, on a boat, while tailgating, or wherever you need to quench your thirst. 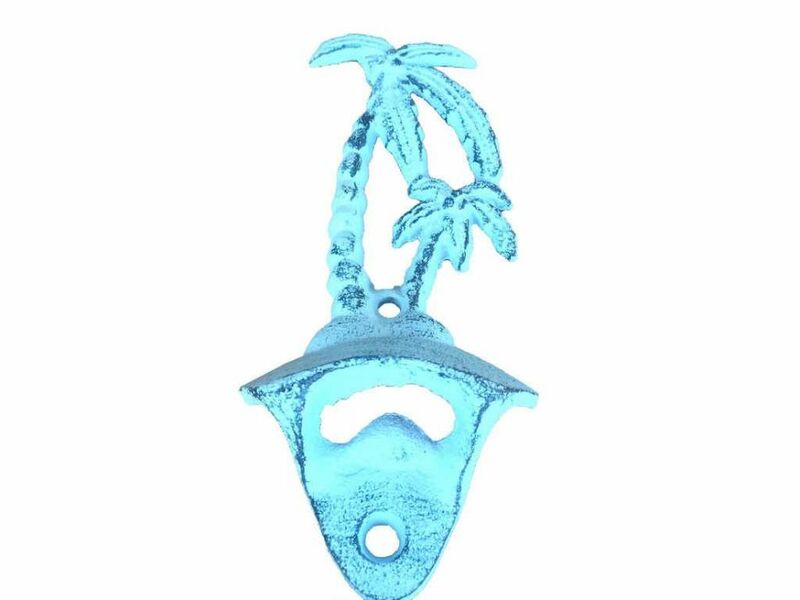 NOTE: This classic "European Style" wall mounted bottle opener has a sleeker design which emphasizes the palmtree design element. The bottle opening is slightly smaller than a typical "American Style" bottle opener. As such, to remove the bottle cap, you insert the bottle and move it in a downward direction. Please pay attention while opening the bottle or some liquid could potentially spill.